Quickly: run out and go buy this book! I have a whole section in my bookcase dedicated to books about running. I love reading about running! It inspires me, and makes me want to put on my running shoes. 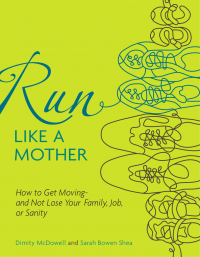 With so much already written about running, it's hard to think of something new, but Dimity McDowell and Sarah Bowen Shea certainly rose to the challenge with their book Run like a mother. It's refreshing, inspiring, and there's actually stuff in there I hadn't thought about. For example, do you run until your 'tank is empty', or do you hold a back a little bit, so there's some energy left? I found this concept fascinating, and it really got me thinking. 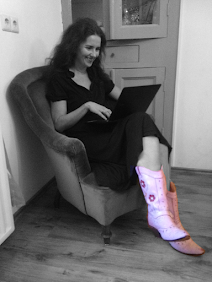 I'm a 'little bit left' kinda girl, by the way. Though I'm not usually interested in talking about poop and farting I have to admit I found the info about these subjects quite interesting and practical. Run like a mother is an absolute must have! It's like talking with some really nice friends, and it goes on where most books about running stop. In that regard the book is just like a running mom! It just keeps going strong. Just run on over to Run like a mother! I keep reading about this book on so many blogs....guess it's time to visit Barnes and Noble!!! !